www.searchingforreason.net : WHAT A SHAME- A look at the low points in the modern media. THEY SAID...WHAT? ARE YOU SURE? PT 2. WHAT A SHAME- A look at the low points in the modern media. THEY SAID...WHAT? ARE YOU SURE? PT 2. When these Qualifying Words or Phrases are used, they are often meant to act as a "Get out of Jail Free Card." Why? Because, there is no Commitment to actually making any kind of Intellectual Prediction or Conclusion that is backed up by Logic and Critical Thinking. If the Proposed Prediction or Outcome doesn't occur, they will claim no such Assurances or Guarantees were ever made. 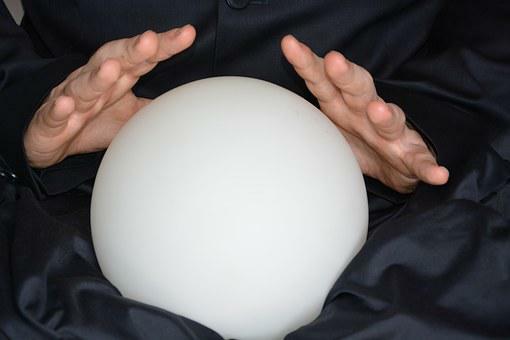 However, if the opposite happens, and the Proposed Conclusion or Prediction comes to pass, you can be sure that these same People will be Bragging about how they Predicted the Outcome. Suddenly, the Qualifying Terms and Phrases disappear from Subsequent Discussions about the given Topic or Subject. Those who made such Predictions, and their supporters, no longer refer to anything that could imply an Outcome that wasn't Guaranteed. It is a Strategy that cannot fail, as long as those who realize that it is obvious Double Talk, do not point it out to other listeners who are unaware of these Deceptive Tactics. 2) LOOK FOR WORDS OR PHRASES BEING USED AS EMOTIONAL TRIGGERS. This is a Category Where Different Parts of Speech are used to Transmit an Opinion or Judgment About a Person, Group, Action or Behavior that is not Directly Apparent to those listening, but are Effective on a Sub- Conscious Level. - "John Doe is a Candidate of the People, while Joe Schmoo is just another Politician." - "Acme Detergent is the Preferred Brand by Moms who care about Eliminating Germs and Bacteria." - "Bobs Plumbing has a 100% Money Back Guarantee, unlike those who will stick in Hidden Charges you are stuck paying for." It is Human Psychology to have Immediate Emotional Responses to Certain Words that we hear. It may not even be realized by the individual at the time of Perception, but it is a Natural Occurrence that usually cannot be Controlled. However, it can be Understood.